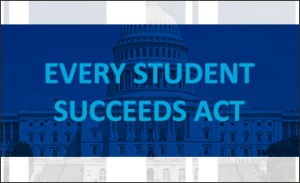 AASL, in collaboration with the ALA Office for Library Advocacy and the ALA Washington Office, is offering a complementary, comprehensive workshop on the Every Student Succeeds Act (ESSA) to each AASL-affiliated state association. The workshops build off of two well-received sessions presented by AASL during 2016 ALA Annual Conference and are part of the newly adopted “AASL Vision Plan for Implementing ESSA.” More information, including participating states and workshop dates, is available on the AASL website. The workshops, presented by AASL leaders, will be customized to fit the needs of each state. Each workshop will include the most current information on developments at the Federal level, will connect ESSA language to the role of the school librarian and provide recommendations of opportunities at the state and local levels to ensure the ‘effective school library program’ language in ESSA. The hands-on small group work will aid in identifying stakeholders, building coalitions, crafting messages and developing elevator speeches. While the content will be directly related to ESSA, the tools and exercise portion also serves as advocacy for positioning school librarians in general as leaders for teaching and learning.